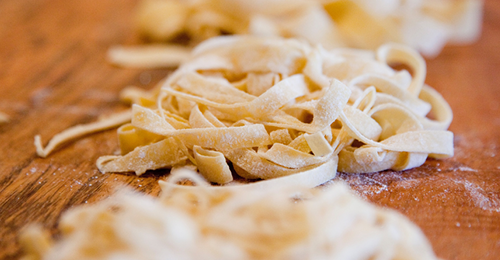 Our next Dines Out will be on October 16 at Nostrana, in tandem with Movie Night! 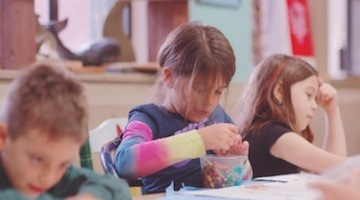 This is a double-whammy of fundraising fun. Kids are entertained with a movie, popcorn, and pizza in the cafetorium for Movie Night (suggested donation $10 at the door). Grown-ups can enjoy wood fired pizzas, house-made pasta and seasonally inspired plates at Nostrana. Due to the popularity of this event, reservations are strongly recommended. We’re looking for a few more parent volunteers on Movie Night! Log in to Konstella to sign up for a 2-hour shift. 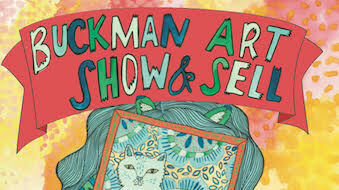 Stop by Pambiche anytime between 5-10pm and 15% of your tab will go to Buckman. 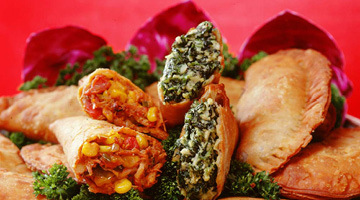 Try their amazing Cuban bites, sample one of their signature drinks, or discover why everyone is talking about their flan! 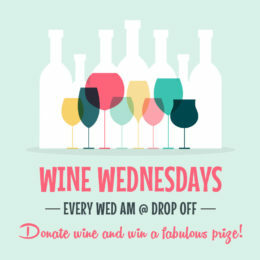 Bring your favorite bottle of wine to donate to the auction on Wednesday mornings at drop-off, and you will be entered to win a fabulous prize on auction night! This is a simple way to donate to the auction and – who knows – you might just be the lucky winner! 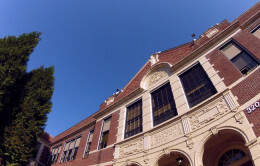 If you haven’t already grabbed your auction tickets, now is the time! 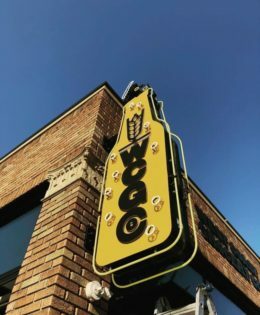 Early Bird pricing has been extended to Wednesday, April 18th, giving you only two more days to claim your seat for the reduced price of $35/person! After the 18th, tickets will increase to $45/person! Take advantage of Blackbird Pizza’s special Tuesday deal: two medium pizzas for $22! And Blackbird has much more than pizza: sandwiches, salads and a full drink menu. Grab yourself a delicious meal and help support the Buckman Foundation. 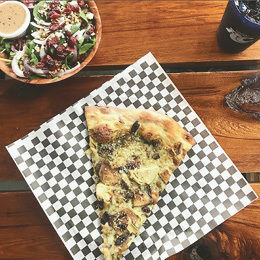 15% of your tab benefits Buckman | Tuesday, March 20, 2018 | 11am–10pm at Blackbird Pizza, 1935 SE Hawthorne Blvd. 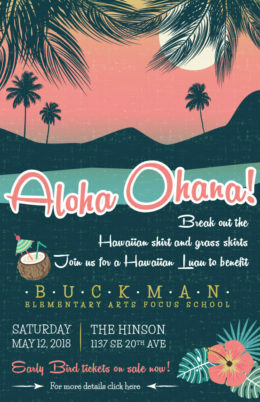 Grab your finest Hawaiian shirt and grass skirt and join us on May 12th for the 29th Annual Auction & Hawaiian Luau. 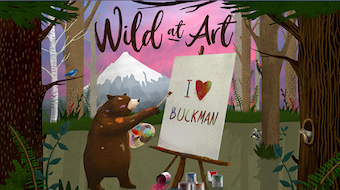 As Buckman’s biggest fundraiser, the annual auction funds the arts program teachers including dance, visual arts, instrumental music, choir, and other essential opportunities for the kids. Buy tickets now for special early bird pricing.